Ellie Johnson, an art student in Manchester, is interested in bread. She’s made it the subject of a series of photographs that she has submitted to The Mancunion as part of the Art in Mancunia series. Surprisingly, her interest in bread doesn’t stem from the fact that it’s an unbelievably versatile, essential component of a huge number of tasty snacks, or from its nutritional value as a good source of carbohydrates. 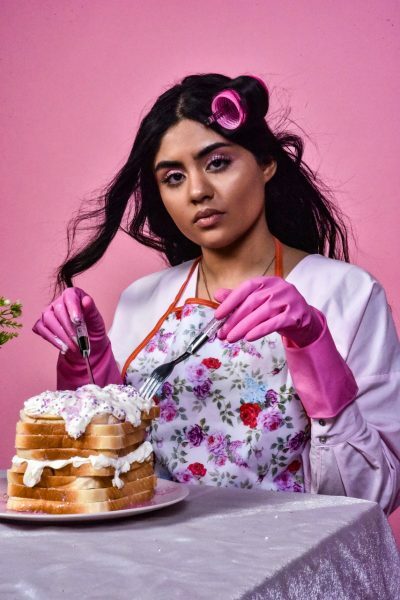 Rather, Ellie’s art ties in with what she feels are the historical connotations between bread and women, with bread viewed as a symbol of domesticity. Ellie’s research posits a long-established link in the consciousness of men between bread and aspects of procreation, and identifies a woman’s bread-making ability as a key quality by which her worth was determined during certain periods of history. 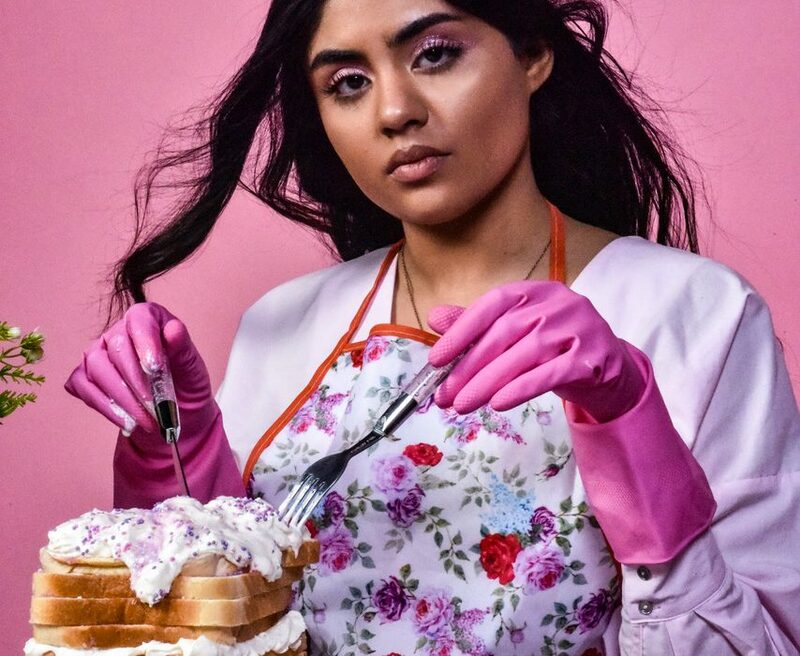 Set against a garish bubble-gum pink background, Ellie’s work sees her models posing with slices of bread, garnered in aprons and kitchen gloves – items that represent domesticity and suburbia. Ellie pays reference to the archetype of the ‘Stepford wife’, a term denoting a docile housewife who’s role in a marriage is one of subservience to the husband. Judging by the expressions of the models in the photographs – hardly those of ‘submissive’ women – it seems that this is art that aims to challenge that notion of subservience. Let’s hope that if this work achieves anything on any kind of subliminal level, it’s replacing those connotations of bread with passive domesticity with new ones of glamorous, pink, feminist fun. Ellie also credits Louie Caulfield Johnson with art direction assistance.